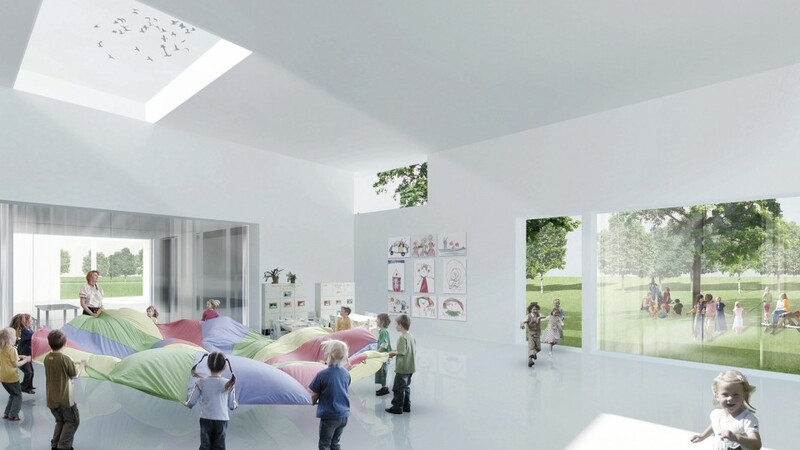 Competitive tender process with four participants. 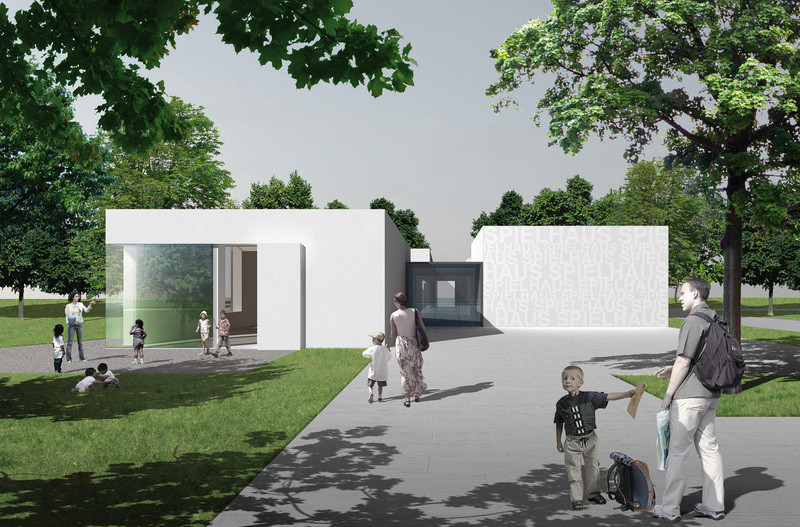 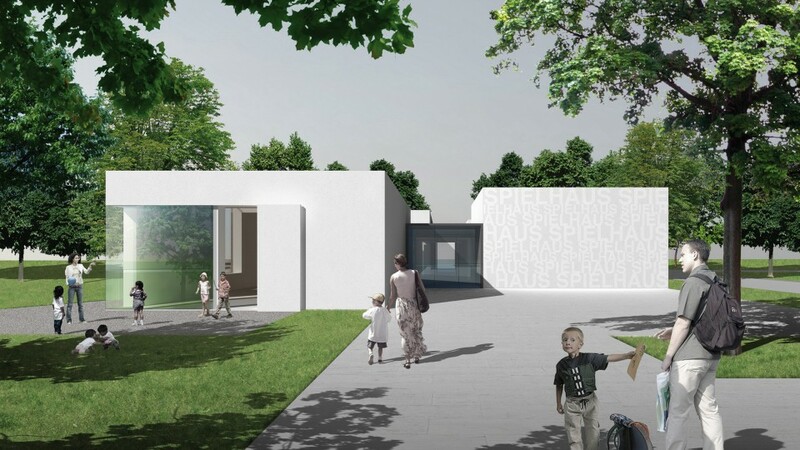 A new build for a playhouse is to be planned for Hamburg Wandsbek on the bank of the ‘Mühlenteich’. 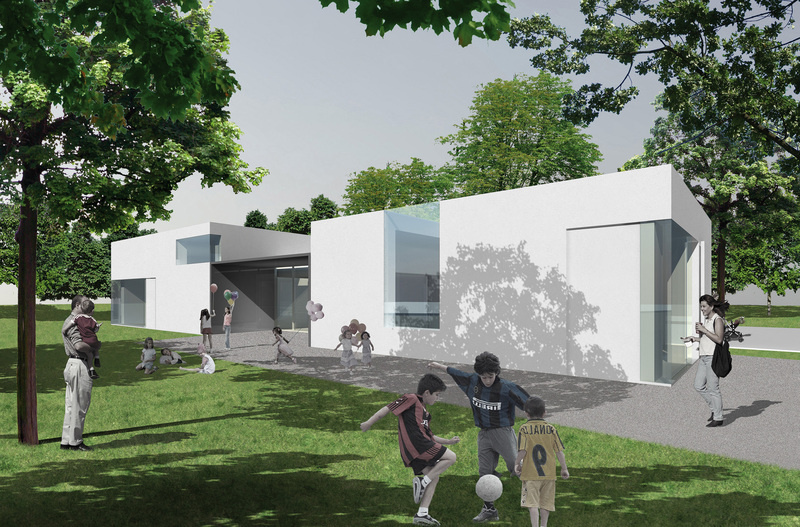 Different functions are defined by four clearly distinct structures, grouped like a small village around a discreet, connecting building. 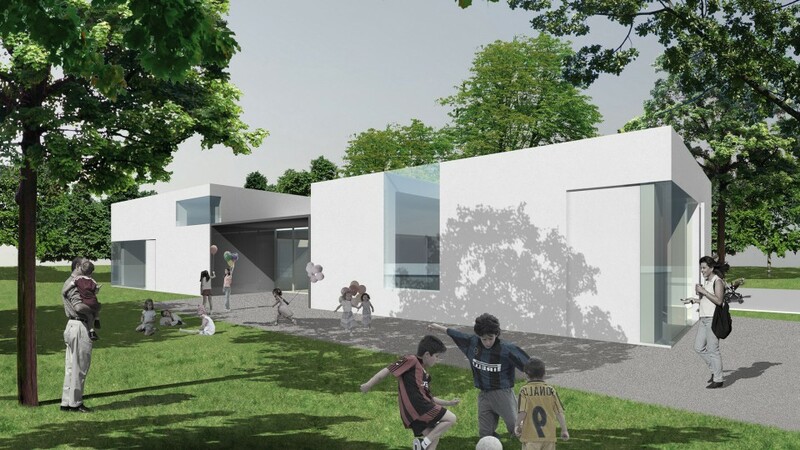 The interconnectivity within the building structure allows for lively interaction between the users. 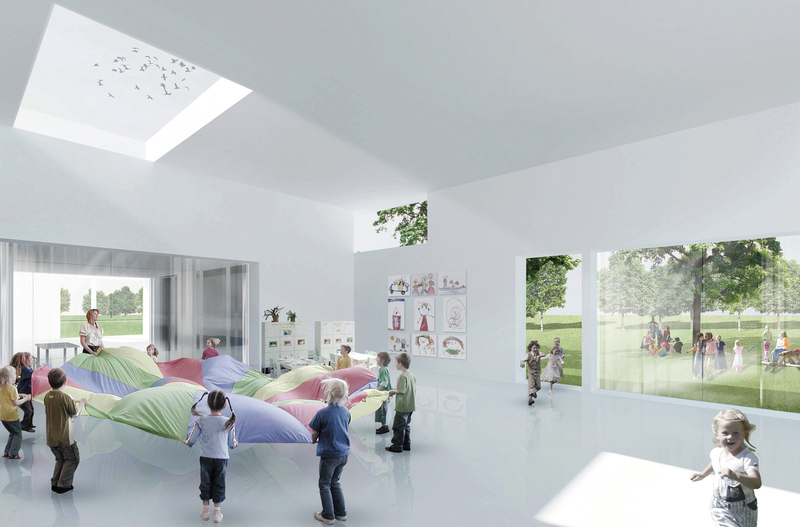 The playhouse with its broken-up structure and landscaped open space opens onto the adjacent park.